At its core, BitShares is an open source software that protects users through cryptography in order to maintain a ledger of transactions. BitShares utilizes the technology that is most commonly found throughout all cryptocurrency networks. The open source network allows computers across the globe to synchronize data and maintain a record of the database across a series of nodes, which construct the blockchain. By creating copies of the BTS database, its network is able to maintain a record on the blockchain that follows a strict set of rules with no possibility of being altered. Historically, BitShares have traded well below $1.00 USD per coin, making it one of the most affordable cryptocurrencies on the market. Its all-time-high was only $0.47 USD, and it has consistently been in the top 50 cryptocurrencies based on market cap. The market cap as of November 16, 2017 was just over $237 million USD. Currently there are about 2.5 billion BTS coins in circulation, and a total of 3,600,570,502 BTS coins that can ever be mined. Compared to some other coins of similar value, such as Stellar, the total amount of BitShares is relatively low. This could end up being a positive if BTS becomes a more established cryptocurrency and more users adopt the technology. Since BitShares is one of the largest cryptocurrencies based on its market capitalization, it is inherently in high demand. This is good for traders and investors because it means that BTS is available on a wide range of cryptocurrency exchanges. The most common pair that’s available to those interested in buying BitShares is BTC/BTS, but it can also be found in ETH/HTS or even fiat pairs like USD/BTS. Bitcoin originally took this technology and used it to create the first, and now the most popular, cryptocurrency on the web. Since its introduction, Bitcoin has inspired the creation of hundreds of new virtual currencies. Cryptocurrencies are becoming increasingly more prevalent and businesses are beginning to explore new uses for open source technology. As these virtual currencies continue to find success, businesses are exploring ways to create a currency that incorporates this technology and is unique. A number of companies have taken blockchain technology and modified it. For example, Siacoin utilized blockchain technology in an attempt to create the largest peer-to-peer cloud storage network on the globe. BitShares also took traditional cryptocurrency technology and paved a new path for anyone interested in trading a variety of financial assets across an open source network. As a currency, BitShares acts as a representation of a variety of assets. Not only does it act as a stand-alone virtual currency, it can also be used to represent the US Dollar or gold. These assets are represented in BitShares, or BTS, in order to make transactions from across the globe in a matter of seconds. Once transferred, BTS can be converted back into the assets being represented. Daniel Larimer explained the benefits of using BTS to represent fiat currencies in a statement in 2014, shortly after BitShares came into existence. With fiat currencies, like the paper dollar or gold, it can be difficult to transfer from one country to another. Physically moving these currencies would cost a lot of money and take a lot of time. A more popular option would be going through the bank to wire transfer the funds. However, this option takes much longer than a BitShares transfer, and puts trust in a centralized institution who then has complete control over the money being transferred. BitShares aims to create a ledger that advances traditional ledger technology. The transparency of an open source ledger allows users across the network to act as the checks and balances that would otherwise be the responsibility of a centralized power or bank. Traditional ledgers leave room for a number of errors caused by corruption, human error, or misuse. BitShares eliminates these errors. All of this is completely dependent on the BitShares community. The community is responsible for maintaining the ledger, whether that be powering it or checking it for accuracy. Larimer also expressed BitShares’ interest in developing a community that would grow so large that it could eliminate the need for centralized institutions monitoring transactions. How is BitShares Different From Other Cryptocurrencies? BitShares takes the concept of Bitcoin and other cryptocurrencies and applies it to businesses and shareholders. BitShares is much more than just another cryptocurrency. BitShare acts as an exchange, much like the New York Stock exchange. Not only does it manage a ledger of its own currency, it also tracks the ownership of stock and debt issued by other companies. In other words, people are able to use the BitShares network to trade stock or debt on the distributed ledger. BitShares main selling point is not its currency, but rather its ability to handle transactions for a number of different currencies. BitShares’ approach adds a new dimension to decentralized networks. Where Bitcoin aims to decentralize currency, BitShares aims to decentralize exchange networks. BitShares’ currency is ancillary to its exchange network, which hopes to revolutionize traditional cryptocurrency transactions. While BitShares offers a number of unique capabilities, there are some similarities as well. BTS has a cap on the number of units that will be released into circulation. 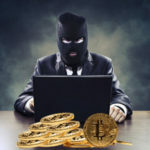 As time goes on, miners who are offering up their resouces to power the blockchain and maintain the ledger are being rewarded with the release of BTS. This will continue until there are more than 800 million BTS in circulation. This process aims to drive the value of BTS by limiting the number of available units, rather than continuously creating more units. Cryptocurrencies are similar to stocks in a number of ways, BitShares even more so. What investors look to do is purchase assets at their lowest price in order to hold on to them in hopes that their value will increase over time. The market for almost all cryptocurrencies has shown a steady increase over time, and if that is any indication of where BitShares is going, then now would be the time to invest. As of June 2017, a single unit of BitShares is only $0.30. This is a fraction of the cost of big name cryptocurrencies who have already established themselves as big contenders, such as Bitcoin, whose unit price as of June 2017 is Nearly $2,500. Getting involved with cryptocurrencies can be a bit overwhelming, especially when the unit price can be more than $1,000. Many people who are looking to become involved with the growing virtual currency industry may be dealing with fractions of Bitcoin, or other currencies with a high unit price. BitShares has been able to maintain a low unit price, due to the fact that the cap on the number of units surpasses 3 billion. Not only has this made the price low, it also gives users an opportunity to deal with units in whole numbers, rather than fractions. Much like the stock market, investing in BitShares involves some risk. There is no guarantee that users will see return on their investment when purchasing BitShares. Like other cryptocurrencies, BitShares relies heavily on its user base. Without a strong user base the network loses its value or fails to increase that value. This is a legitimate fear for anyone looking to invest in BitShares. The fact that BitShares gives the user the option to trade a number of other assets and currencies offers a bit more stability when making transfers. The seeds of success have been put in place for BitShares. Moving forward, its success will lie in its ability to attract a larger number of users who are willing to invest and a company looking to revolutionize exchange networks.